North Korea launched its 12th ballistic missile test this year on Monday, this one falling provocatively close to Japan. 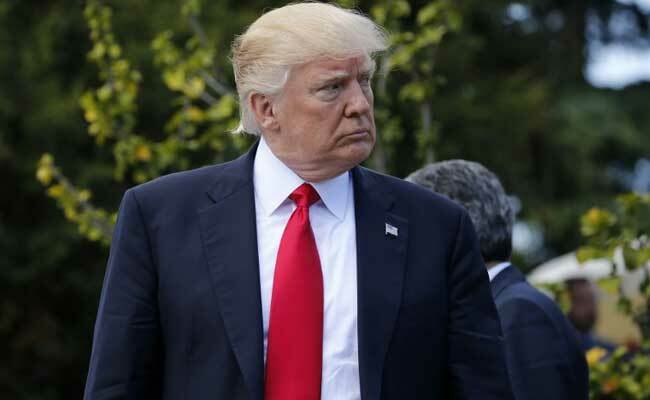 Donald Trump declared at the G7 summit that the "big problem" of North Korea "will be solved"
Washington: President Donald Trump on Monday called North Korea's latest missile test a slap in the face for its main ally China, which the US leader praised for trying to rein in the regime. "North Korea has shown great disrespect for their neighbor, China, by shooting off yet another ballistic missile... but China is trying hard!" Trump said in a tweet. South Korea's military said the Scud-type missile travelled for 280 miles (450 kilometers), and Japan said it was estimated to have fallen into its exclusive economic zone, extending 200 nautical miles from the coast. The test was carried out in defiance of UN sanctions warnings, amid fears that Pyongyang may conduct another nuclear test. Trump declared at the G7 summit last week that the "big problem" of North Korea "will be solved" and has previously warned that no option is off the table. But so far Washington has opted for sanctions and diplomatic pressure, looking to China, the North's closest ally, to step up economic pressure on Pyongyang. In an interview with CBS News that aired Sunday before the latest launch, US Secretary of Defense James Mattis said a war with North Korea would be "catastrophic."